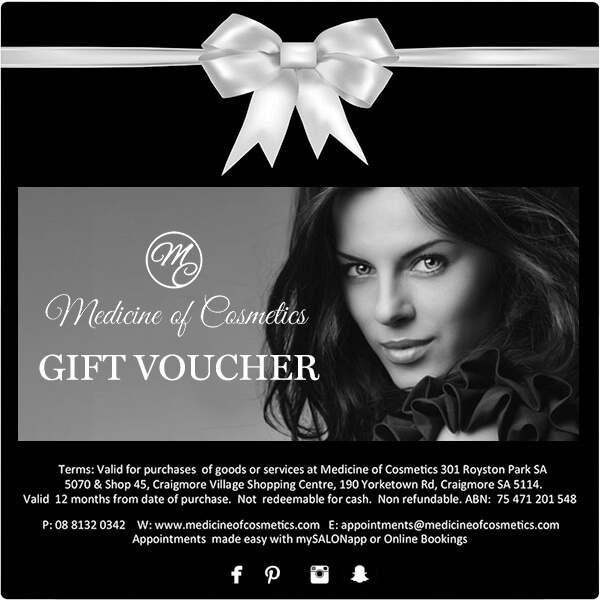 Our Gift Vouchers are valid for purchases of cosmetic treatments at Medicine of Cosmetics. They are valid for 6 months from the date of purchase, not redeemable for cash and non-refundable. 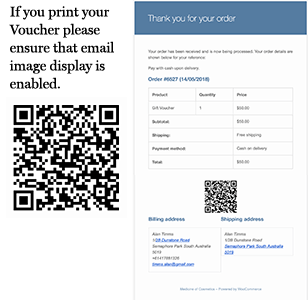 You can enter any voucher amount – minimum $50. After Pay is available on Medicine of Cosmetics gift vouchers. Select an amount up to $1000 and proceed to checkout to select After Pay as your preferred option. For a larger amount, multiple vouchers will need to be purchased if choosing After Pay as payment option.